Welcome to Red River Chiropractic Centre! Welcome to the Red River Chiropractic Centre. We have helped thousands of patients reach their health care goals for over 19 years. We invite you to browse our site to discover and learn about chiropractic wellness and to use this as a resource for health information and tips. Chiropractic care - being hands on treatment - allows for a wide variability in practice approaches and techniques from practitioner to practitioner. I will work hard to determine the source and cause of your concern, and based on that, give you the best recommendations and excellence in care. We believe that health is among our most valuable possessions. Providing relief in as short a time period as possible is often where most patients begin care. Whether it is for acute relief or to improve the overall functioning of your body we may be of great help. On a corrective or preventative basis, our goal is to retrain movement patterns, further reduce abnormal nerve activity, re-establish proper joint positioning, and /or reduce adhesions. We will also offer ways patients can participate in their recovery. We encourage our patients to achieve the highest levels of health they can. Through educational opportunities (like this website) we hope to communicate the value of post symptomatic chiropractic care. Our desire is to see our practice members transition from the prevailing sickness care model of health (waiting for symptoms and then taking action), in favour of the emerging wellness model. I am continually evaluating new developing techniques and technologies that have been demonstrated to be effective and then incorporate them into my care. Delivering state of the art care is a commitment. This leads to better results for you. If you're in pain, I hardly need to tell you how it affects your life. Your pain goes wherever you go. And sometimes you're not able to go very far because of your pain. You often take it to work. You take it to bed. You take it everywhere. For a great many people the "quick fix" comes in a child-proof container. This is not to say that pain medications are not necessary and a godsend for certain types of pain. But for a good many people with age, stress and injury-related pain, lasting relief will never come in a bottle. At best, it will only serve to mask the pain. You see, a Chiropractor's goal is not to give patients drugs so they don't feel their pain. Our goal is to discover the source of the pain and correct it. "We strive to change the way patients think about health care by providing exceptional Chiropractic care with a difference. We provide outstanding treatment - delivered by a dedicated and caring team of professionals." The goal of our clinic is to eliminate pain in as many people as possible. The clinic hopes to do this by using a two pronged approach: education and treatment. Educating the patient on the exact causes of their pain takes the mystery out of their condition and allows for a partnership approach. This understanding makes the patient less vulnerable to inefficient therapies where, numerous professions who may mean well have not endured the scientific scrutiny as chiropractic has with regards to effectiveness and efficiency. Educating the patient on at-home care to prevent flare ups allows an increase in their independence from clinical care. 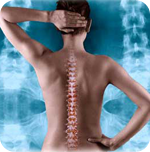 The all-important next step is offering treatments for pain which are based on the most up-to-date clinical science. 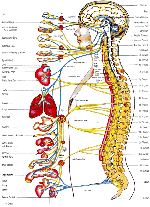 This is important for long term lasting relief from pain. This clinic's approach to treatment involves using any one or more of the recommended techniques on a daily basis. Some conditions are treated and resolved quickly, others take more time. A few are not resolved but greatly improved. We exist to provide honest, quality health care for you. We strive for the best. The result? Our patients are inspired by their experience to refer friends and family, as we are sure you will. Be strong and active, reduce your pain, feel great and look good!